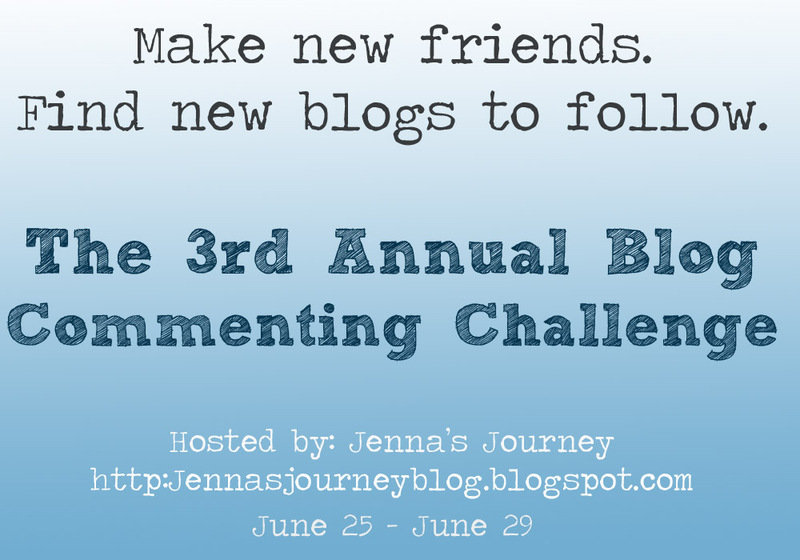 Jenna Blogs: Commenting Challenge: DAY 2! 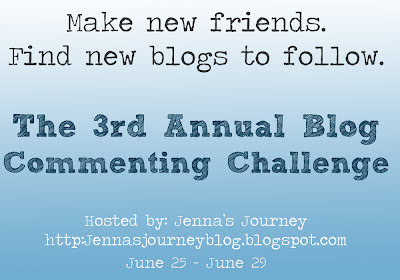 Welcome to day 2 of the 3rd Annual Blog Commenting Challenge! If this is your first time here and you're trying to figure out what the challenge is, or if you need to link your blog to the challenge click here! I started blogging a little over 4 years ago. Originally, I was going to blog about infertility - at that point we had been TTC for over 2 years. As I mentioned yesterday, all that changed. Now, I like to blog about my family but I've really branched into sharing my recipes. I have a large recipe section on the blog and I usually add new recipes weekly. I get so much joy when people write to me to tell me they've tried my food and that they family loved it or their picky eater cleaned their plate. As for inspiration, I tend to find it in odd places. I used to blog about our day-to-day life but over the years I've changed that up a little. Sometimes there are things I'd just rather not share publicly; not that they are bad in the least, just that I like to keep my life semi-private. I'm a huge fan of sharing things that I learn. I remember when I started blogging and I knew nothing about editing pictures, making collages, joining Pinterest...all that stuff. And sometimes it seems like if you aren't part of some sort of "in crowd" then people aren't going to share what they know with you. I am the complete opposite of that. I love to share anything that I think will help people out, and I often write "How To" tutorials here. Sometimes I'll get inspired from an email someone sends me asking how I did this or that, or what I think about some kitchen gadget. I figure if one person is asking then I bet others have had the same question! If you are looking for some blogging inspiration, I wrote a post with blog prompts here. I hope everyone is enjoying the challenge and making new friends!